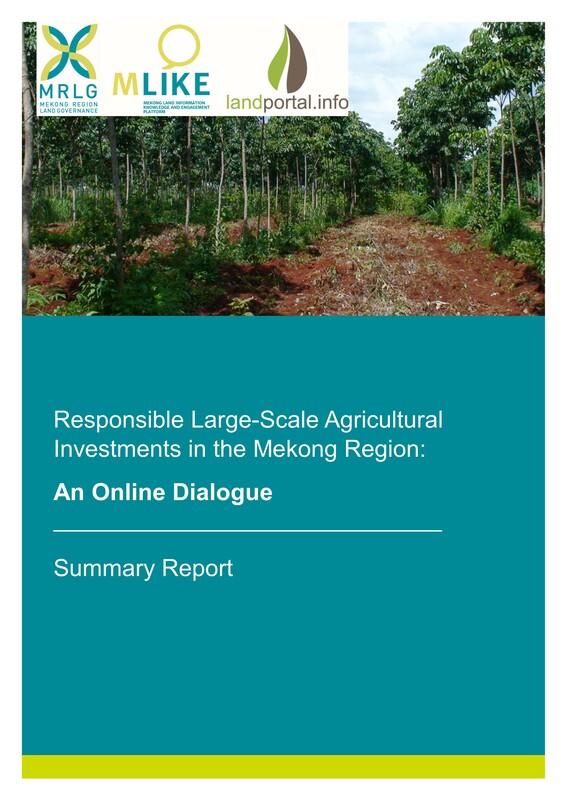 The Mekong Region Land Governance (MRLG) project, MLIKE (Mekong Land Information and Knowledge Exchange), and the Land Portal co-facilitated an online dialogue on “Responsible Large Scale Agricultural Investments in the Mekong Region” on 09-27 October 2017. The full dialogue can be read here. This report delineates the key messages emerging from the dialogue.